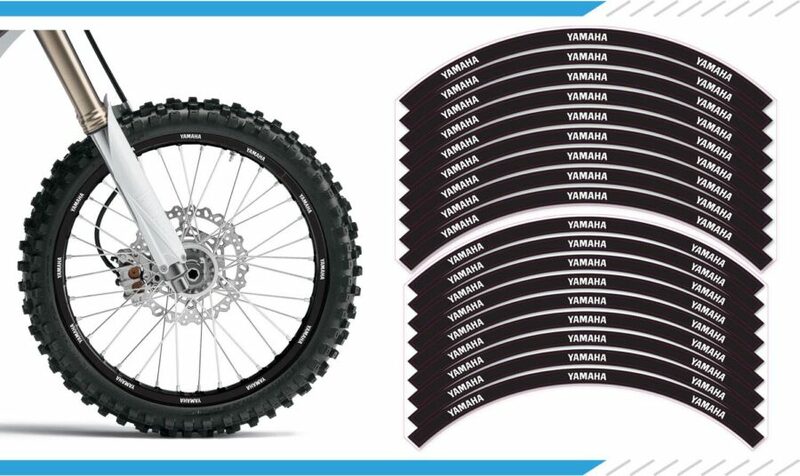 Our rim stickers come as a kit for both the front and rear wheels – simply select the size of rim stickers that you require from the dropdown list. Each rim side consists of 4 curves decals, so in total 16 stickers will be provided. Our graphics are printed and then laminated, creating a 21mil ultra tacky decal kit. Our graphics are all printed nice and slow to produce a true 1440dpi high gloss finish. CustomMX is a sister company of Goddard Design and Print, so our printer is in constant use and maintenance, using the best wide format printing equipment. Our heavy duty laminate is the best of both worlds; hard wearing but easy to install over curves. Add this to our ultra tacky print layer and we have an end product that will outlast many others on the market! A 21mil ultra tacky print and overlaminate combination. International Shipping = Typically 3-7 working days in to Europe / 5-10 working days to Australia, USA & Canada / Other countries can take longer to arrive.